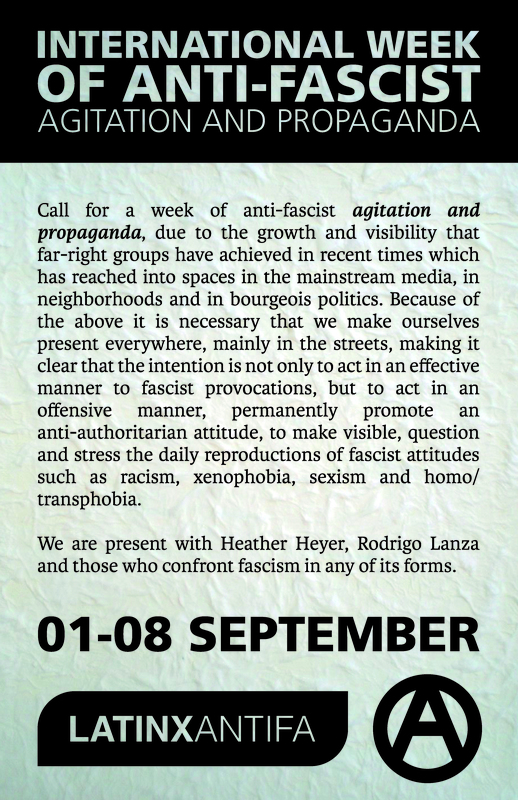 Call by Latinx Antifa for a week of anti-fascist agitation and propaganda. Previous post: #Saguenay, #Quebec: Good Morning Racists! #Minneapolis, #Richfield, & #Duluth: A Week of Anti-Fascist Actions – Enough is Enough!